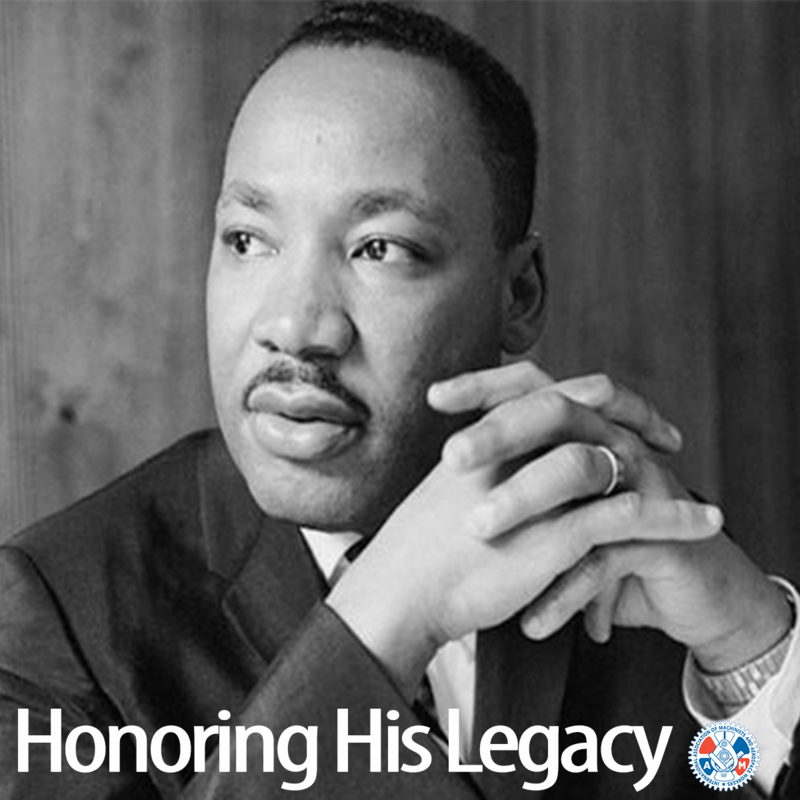 Today, we celebrate and honor the moral leadership and achievements of Reverend Dr. Martin Luther King, Jr., a courageous leader who championed civil rights, freedom and dignity for all. Dr. King strongly believed that a powerful and vibrant labor movement was essential to achieve the civil rights and economic and social justice he gave his life fighting for. It was not just the content of Dr. King’s words, but also the emotion of his speeches that continue to inspire us today to continue the struggle to achieve his dream.